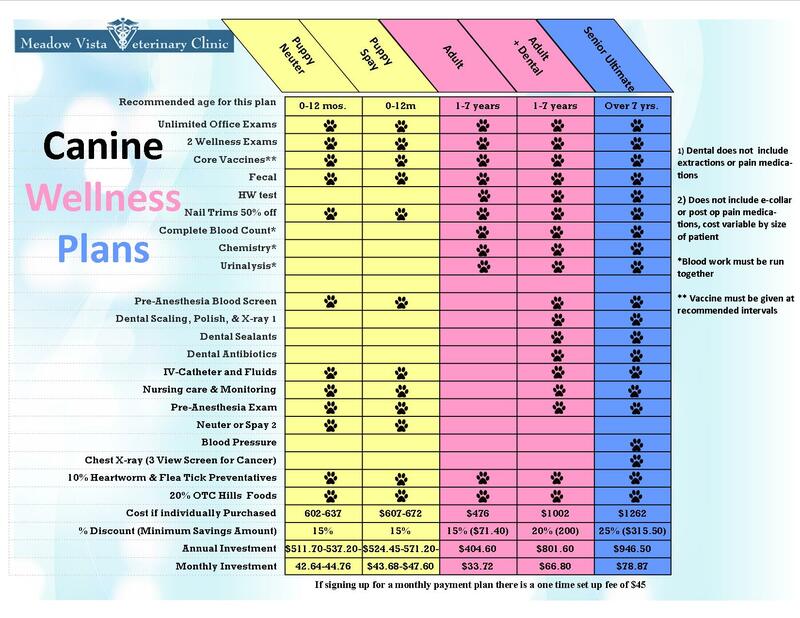 Our wellness programs are a 1 year program to help keep your pet healthy and happy while allowing you to budget your pet finances. You will receive significant discounts over purchasing services individually. This is not an insurance program because you know exactly what you are buying. These programs will help prevent you from delaying trips to the vet because of financial concerns and in turn help prevent bigger (and more expensive) health issues down the road. 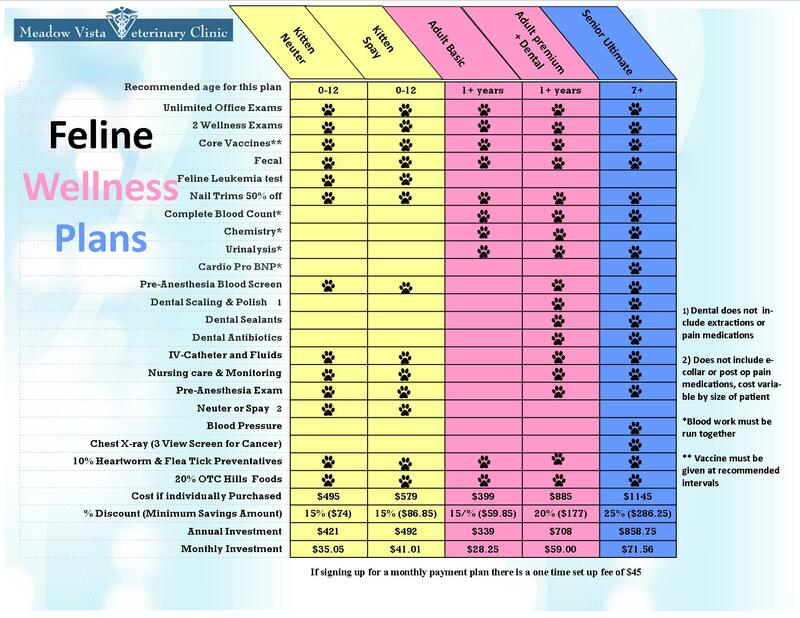 Each Wellness Program embraces a focus on preventative medicine based on the specific life-stage of your pet. Each patient is assessed individually based on factors such as species, breed, age, and environmental challenges. Next we offer recommendations for prevention, nutrition, and diagnostic work-ups appropriate for your pet. Our role is to educate you on those procedures and medications especially beneficial for your pet. This allows us to be more flexible with our recommendations, and gives you more control of your pets healthcare. Please give us a call for more details and pricing 530-878-2009. For more information on understanding your pets blood work please click here.